Reports of unusual sightings at Indigo Lake are commonplace but recently a spate of suicides has triggered an investigation by paranormal specialists. Your good friend Dr Everett was sent to the lake to find out the truth behind the recent activity but he has failed to report in. It is now your task to find him and put to rest any supernatural activity for good. 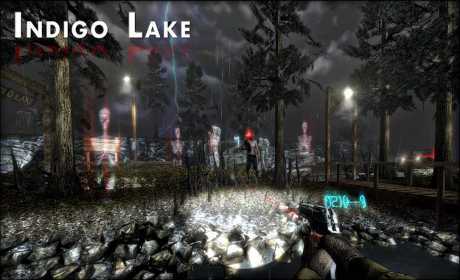 Indigo Lake is an open world first person psychological horror game set around an abandoned lake resort. The player can freely move anywhere within the environment to search for clues and dispel the spirit forces. With such a large environment a 4X4 vehicle can be used to manoeuvre quickly around the map. 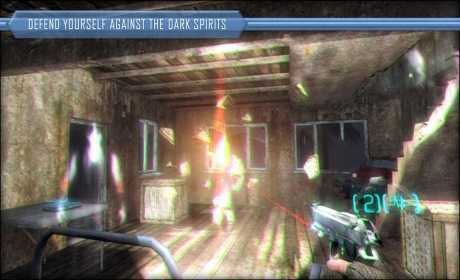 The player is equipped with a hand gun loaded with tracer rounds that can scare away the spirits, blast through doors and trigger puzzles. Indigo Lake has been loaded with the latest 3D graphics techniques to produce a living world. Trees, vegetation and even the rain moves in the harrowing wind. 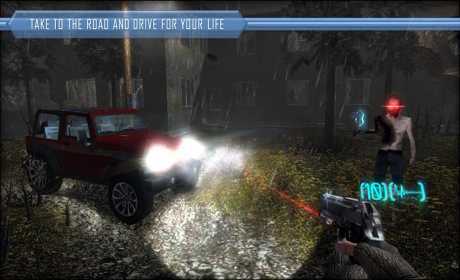 Advanced particle effects fill the environment and distant lighting strikes light up every surface. Indigo lake shows off the most impressive weather effects ever seen on a mobile device with each rain drop creating a splash when it strikes the terrain. Full screen blooming and chromatic aberration enhance the game visuals to a level not usually seen on a mobile platform. True physics have been applied to the vehicle dynamics with each wheel possessing independent suspension. The complex physics also extend to the player model allowing you to be pushed, knocked and even thrown around the environment. -Per Pixel Lighting on all surfaces even on slower devices. -True projectile based hand gun. -Elegantly designed first person controls. -Dual core 1 ghz CPU, 1 gb ram, adreno 305 GPU or equivalent. www.toucharcade.com – 4.5/5 Stars – “A a superb first-person survival horror game … Indigo Lake will leave you wanting more”. www.148apps.com – 4.5/5 Stars – “Indigo Lake is a chilling experience which fans of the horror genre can not afford to miss”. www.appsmile.com – 4.5/5 Stars -“This game legitimately weirded me out… We haven’t felt this uneasy about a horror gaming experience since Dead Space”. www.pocketgamer.co.uk – 4/5 Stars -“Indigo Lake surprises by being a genuinely scary and atmospheric adventure-puzzler”. www.ifanzine.com – 4/5 Stars – “If it’s scares you’re after, look no further. 3 Cubes Research’s game is freaky in all the right ways”. www.cnet.com – Game of the week- “I guarantee you’ll have goosebumps”. www.sirloinapple.blogspot.co.uk – “Indigo Lake is an incredible piece of work and is truly a masterpiece”.